If you move air, gas, water, oil, or any number of other fluid products, you owe it to yourself to take a closer look at crimpnology. 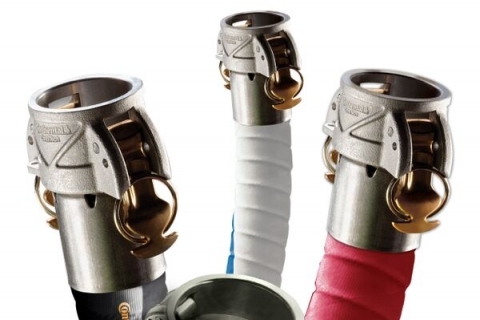 Crimpnology is the art of hose and fitting attachment: it’s a discipline designed around getting the tightest possible seal, with the highest possible retention rate, and the most highly rated pressures on the market. An evolution of existing crimping knowledge, crimpnology isn’t simply squishing a piece of metal around two hoses to hook them together, it’s an innovative approach to maintaining the integrity of your operation’s equipment by creating a super strong link between your hoses. If you’re asking yourself, “Why would anyone choose crimpnology?” The answer is simple: to avoid bad days. Campbell Crimpnology – Kent Rubber’s supplier – understands that you’re always one accident away from having a bad day. Bad days aren’t just bad, they’re costly due to rising insurance premiums, workplace injuries, and unexpected downtime. Aiming to prevent costly accidents, Campbell developed crimpnology to ensure tough, near unbreakable bonds between two hoses. Less accidents means happier customers and happier operators. How do I take advantage of crimpnology? It’s simple, really: you give us a call! Kent Rubber Supply offers crimpnology services through Campbell so that all of your operation’s couplings, ferrules, and sleeves work as integrated parts. You can count on us to deliver the long-lasting, leak-free hose system that you need to keep your operation moving. At Kent Rubber Supply, we pride ourselves on rising to the challenges that our customers place before us. Aiming to provide the absolute best hose couplings in the market, we were drawn to crimpnology because of its cohesive, integrated link. If you’ve been searching for a way to preserve your operation’s uptime, reduce accidents, and eliminate unexpected costs, contact us today to discuss the benefits of Campbell Crimpnology!